This may sound strange, but that first day seems like it was both yesterday, and forever ago at the same time. So much has happened, and things are so different now!! Yet it wasn’t that long ago. Leading up to the move, I was anxious, like I was about to go cliff-diving and was ready to just run and jump and get it over with before I thought about it too much and changed my mind. But here I am! I didn’t change my mind, I didn’t chicken out. I really lucked out/ had it pretty easy/okay, so I used my head, my resources, my connections and planned accordingly…. with the entire process. I already had a good handful of contacts and friends already living in the city, a job lined up, two places to stay, and a decent amount in the bank to make sure I would have plenty of breathing room until paychecks had the chance to start rolling back in. Since moving, I’ve treated the entire situation like a clean slate for me. This is my opportunity to really define myself the way I want to be defined. Now is my chance to break old habits, form some new ones, and make positive changes for my future. I mean, I’m like an adult and all that good stuff now. I’ll be 25 in two weeks! My life has changed, but probably not in the ways you might expect. I realized how much I really went out, and how much I regularly spent on going out. If i really want to go out up here, I will, but it will be to a nice place. It will be at a spot that I will just be in love with, where the people are my type, the music really moves me, and I truly have a good time. There’s no need to go out even on a weekly basis. I’ve had my fun with that, and I’m over it. Plus, going out up here is expensive. If I really want to blow some money on alcohol, I’m gonna make sure it’s worth it. You know what’s absolutely crazy? What people eat these days. There are so many resources available out there. Quinoa, kale, fresh fruits and vegetables, healthy carbs, water, hummus, avocados… they’re all super foods, and super delicious- you might say but oh that stuff is so expensive. Well, I used to say that too. What’s crazy though? You don’t eat NEARLY as much food when you change your diet and eat wholesome, healthy foods. They’re called superfoods for a reason. Your body doesn’t have to work as hard to filter it through, pass all the gunk out, and strain to pull useable energy out. Healthy and wholesome foods ‘burn’ cleaner in your system, and you have more energy, eat less, lose weight, and feel good. Also, i’ve decided to go back to my pescatarian diet. It’s like vegetarian, but I still eat seafood. Because I could never give up sushi. Or my bagels with Lox. Alright, so I joined what is probably the most expensive gym in manhattan. It’s like $35 a week, and thats with my discount with Bloomingdale’s. But HEY, it’s a beautiful facility. I get access to a super clean locker room, that provides all toiletries- down to q-tips, disposable razors, shaving cream, and shower necessities. They have yoga classes, with REAL, actual RYS certified yoga instructors, renowned cycling classes, and state of the art gym equipment. I feel empowered when I walk in to really focus on myself, to really stretch before and after my workout, and to take good care of my body. This, coupled with my new diet, is a total win-win. My body is a good kinda sore, and I absolutely love it! I am excited to watch the changes that are going to happen over the next few months, year, etc. Alright, so I’ve been here so many times. iPhone, Android, iPhone, Android…where does he land?? I had a Nexus S, and thought it was the greatest… for the first month. Then I went iPhone, and questioned every decision I’d ever made in my life. i stayed with iPhone, religiously, for years- and then I go and pull this crap again and tried the Galaxy S5. Definitely leaps and bounds better than my experience with the Nexus S, but some of the issues I had then lingered now. Lagging, battery drain, overall user experience. iPhone for the final win. I will never again doubt you, Apple. I’m just looking for the opportunity to trade with some random person through craigslist who wants an S5 so I can get back a 5S. Then I’ll trade that in for a 6 when they are released. All that being said, I have also found the perfect match carrier wise- T-Mobile. No, they’re not the best network. But they are consumer-focused. They offer the most competitive rates, and the most features. International travel is easy with them. And using SIM cards means even more flexibility with your device. Not to mention they’re contract-free. Uh-uh. No more of this nonsense. No more ‘finding yourself’, No more ‘deciding’. This is it. I’m 25. My youngest sister already has more college credits than I. There is NO excuse. I am too damn smart, and too damn successful to continue on without getting on track for a college degree. It DOES make a difference. People DO look at you differently, and yeah, the institutional system is flawed, but so is every company I’d ever want to work for, the government, and just about every other system humans have created. Just get a degree, and worry about the logistics later. So, I’ve enrolled for University of Phoenix. The plan is to take this, one bite at a time. Get my associate’s in Business Fundamentals. Get all my basic courses taken care of. Then continue my journey from there. Maybe I’ll get my Bachelors through Phoenix as well, maybe I’ll have a stellar GPA and qualify for a better school, maybe even here in NY! That happened a little while ago actually. I started really limiting my smoking before the move, and pretty much only smoked my e-cig for the last week or two. I’m now not even using that. I have OCCASIONALLY had a cigarette. 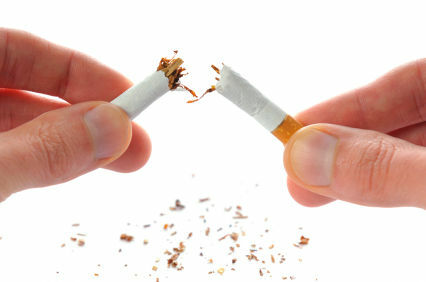 But each time I have, i’ve smoked less and less of them, and now I can’t finish one without feeling gross and ‘clogged’. My throat thanks me. My lungs thank me. My breath thanks me. My stress levels have dropped lower than they have been in a very long time. My only concerns now are making sure I get to work on time, and ensuring I meet sales goals at work. Other than that, I’m free! No obligations. My blood pressure was measured at the gym, and it was like 110/60 or something crazy low like that. I’m still kinda looking for a job that isn’t so sales-heavy. I hate having to pressure people into making decisions and putting on the sales hat. I’d much rather use more brain power and actually make something, like an excel report, as nerdy as that makes me. No, i have not done any ‘touristy’ things. Gays are EVERYWHERE. Its. Awesome. Subways to the outer boroughs are like 2nd class citizens. Not all subways are treated equal. Manhattanites get the VIP treatment when it comes to subways. I have gotten turned around many times. But you eventually figure it out. You don’t get too far before you realize the street numbers are going in the wrong direction. Lastly, I have caught myself smiling while walking home from work. Many times. The sense of purpose, freedom, individuality, empowerment, motivation- it all hits you, sometimes separately, sometimes all at once. Maybe this only happens after you first get to the city, or maybe it happens all the time. For now, I’m willing to take the risk and find out. Wow! That sounds like such an amazing experience. I’m glad to see someone feeling so empowered and changing their own life. Proud of you! Keep it up Ricky.